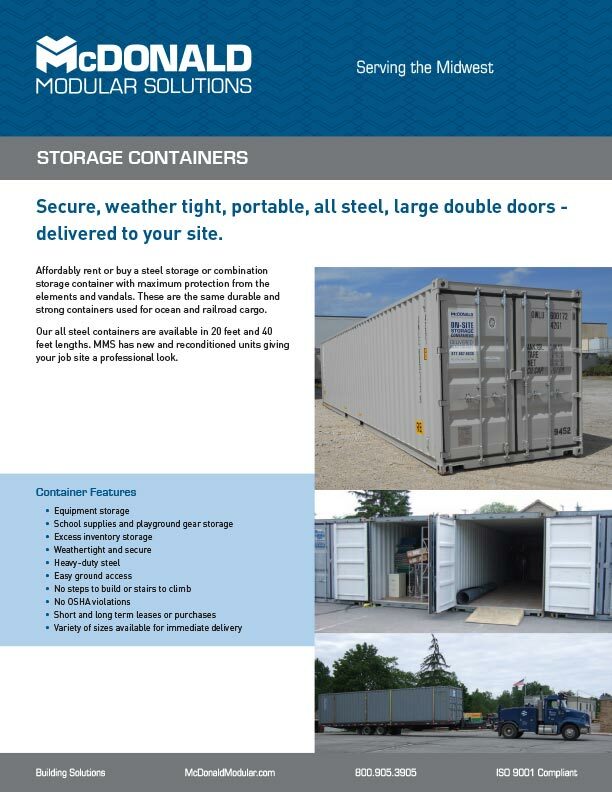 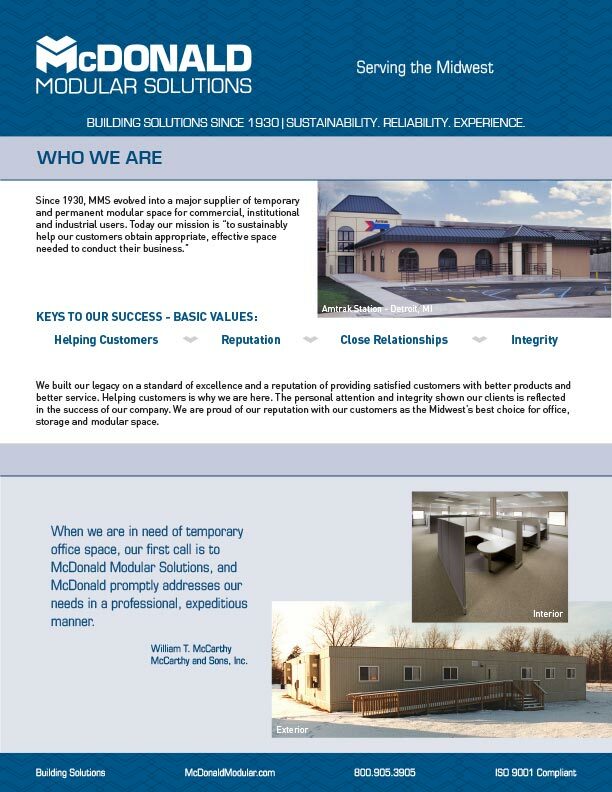 McDonald Modular Solutions is a manufacturer of modular buildings for commercial use. 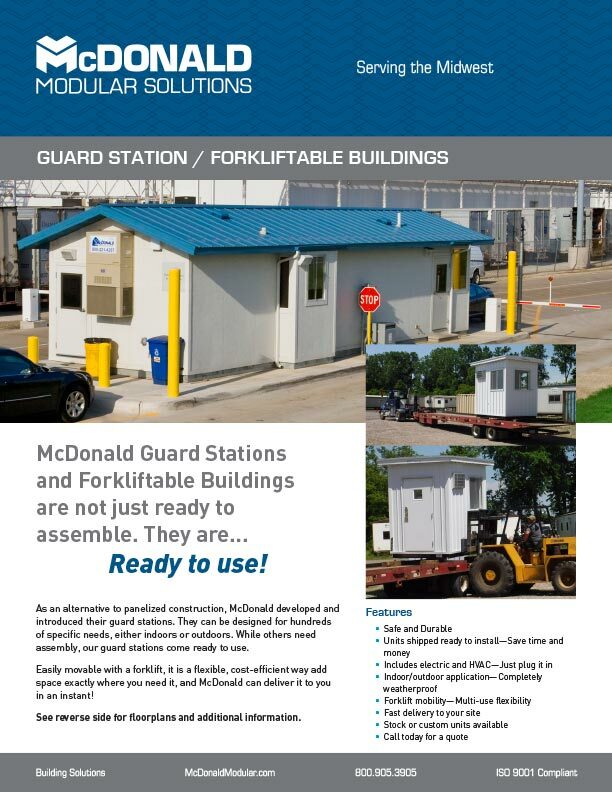 From portable container offices to permanent structures, McDonald builds everything in their factory outside Detroit, MI, and installs them wherever needed throughout the Midwest. 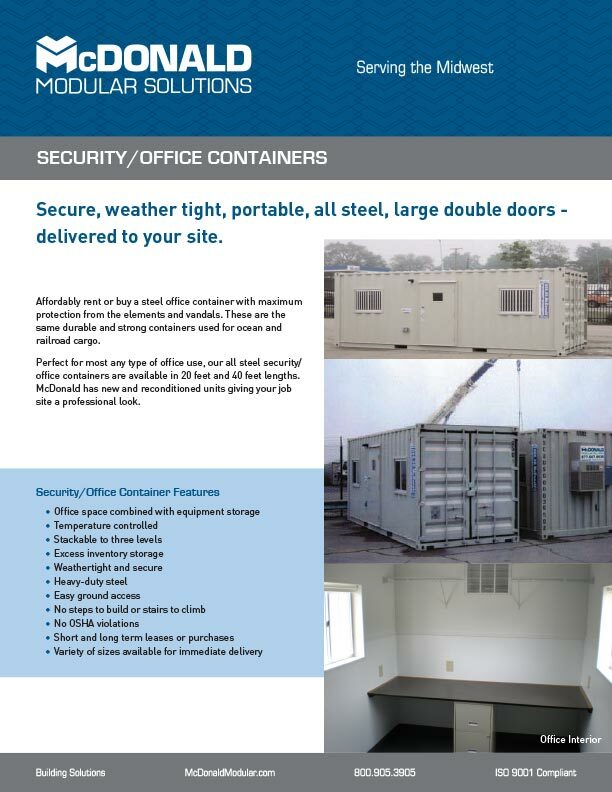 This series of one-sheet handouts is used at trade shows or for customer requests. 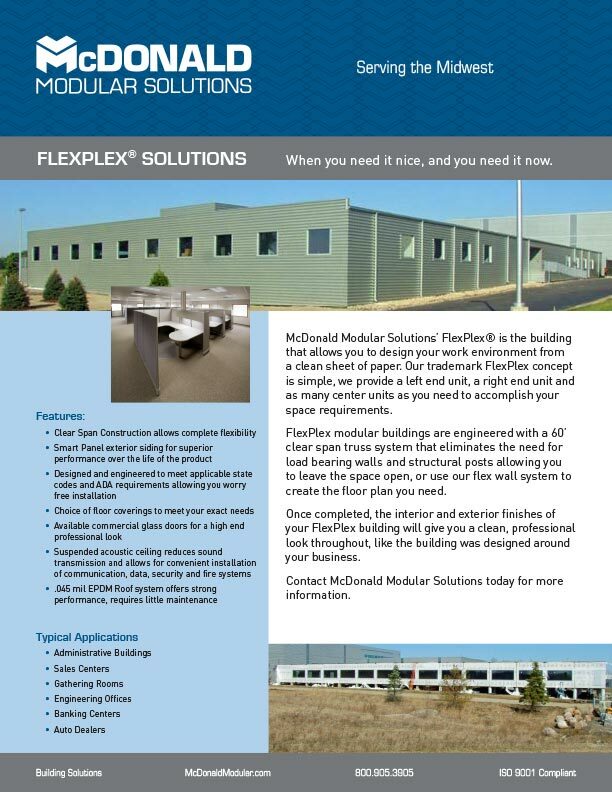 Each double-sided sheet features design specifications and typical floorplans on the reverse side.